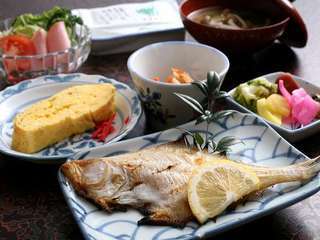 Enjoy relaxing hot springs and delicious meals worth their price at this tranquil inn. Gaze out upon the Maruyama River that runs through Kinosaki to the Sea of Japan while you relax in Korakuen's two treasured private baths. 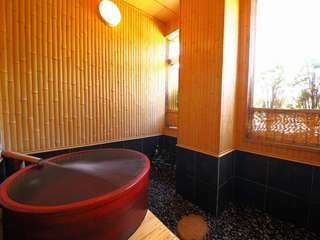 Hikoboshi(Altair) bath is made of Japanese cypress while Orihime(Vega) bath is made with shigaraki fire-ware. You can also see the famous oriental white stork fly to and from Toshima wetlands located near the inn. We also proudly serve dishes made with fresh seafood from the Sea of Japan and Tajima(our area's name). Some of the more popular dishes are our fresh sushi and sashimi served on a boat shaped platter, as well as our white squid. Korakuen is about a 7 minute walk from Kinosaki train station. Guests arriving by car, from the road that runs along Maruyama River, cross the train tracks into Kinosaki town, we are right at the entrance to the town. 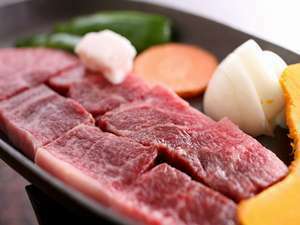 * Plan: This plan is recommended for customers who want to try both Tajima Beef and Crab. 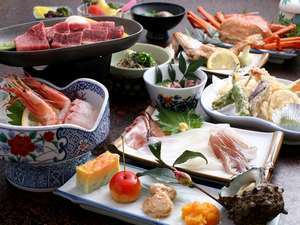 Enjoy Tajima Beef steak and a whole fresh red snow crab that is locally caught in Kasumi port. (inc. free private outdoor bath) * Menu: Tajima beef steak on a hot plate, Tempura (shrimp, sand borer, three kinds of vegetables) with green tea salt, Boiled Kasumi crab, Sashimi; sweet shrimp, white squid, local fish, Appetizer (three delicacies), Seasonal small dish, Simmered fish (local fish), Izushi soba (buckwheat noodles), Soup, Japanese pickles, (including a can of alcoholic beverage per person) * Menu items are subject to change due to seasonal availability. 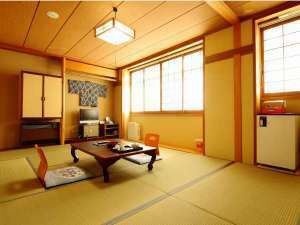 * Dinner is served in your room, and breakfast (Japanese-style set menu) in the banquet room on the first floor. One of our private hot springs. *We prepare meals with child sized portions. Service fees and consumption taxes included in pricing.